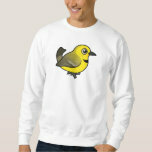 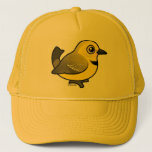 The Yellow Chat is a small songbird native to north-central Australia. 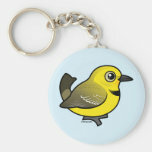 The Yellow Chat is considered vulnerable and little is known about the species. 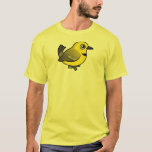 They are named for their yellow plumage. 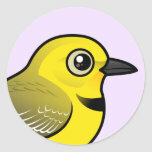 The forehead, face and underparts are bright yellow. 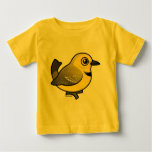 Yellow Chat backs are mottled brown and they have dark eye-stripes. 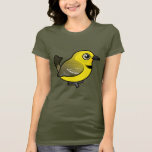 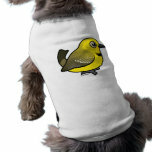 Males, like our cute Birdorable version, have dark breast-bands.